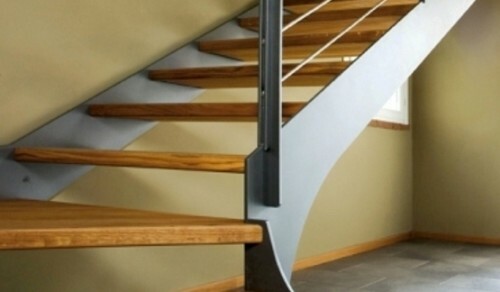 Iron stair with open riser. 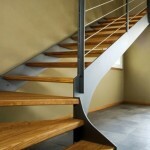 Double load-bearing structure outside steps made of steel. 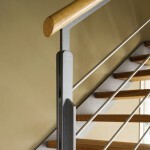 Steel structure painted with micaceous iron glaze, 609.0401 finish, medium grey. 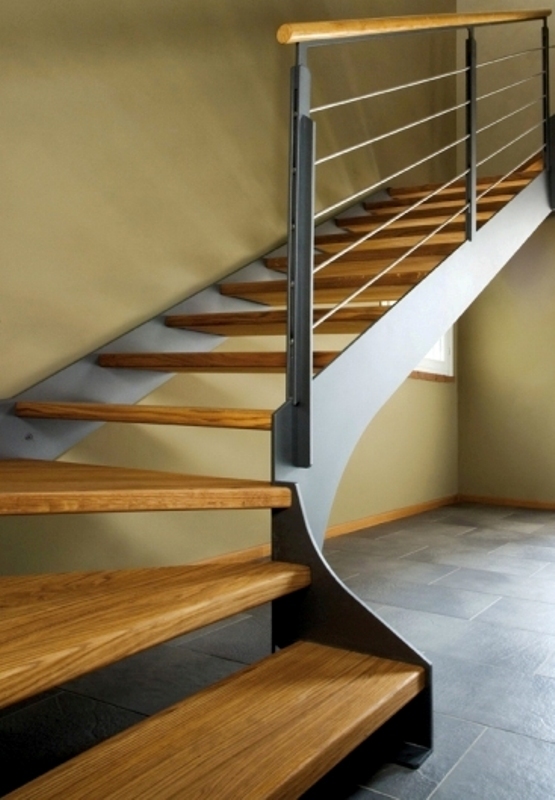 Durmast solid wood tread, natural oiled finish. Tread fixed to the structures with soldered steel wings and recessed teeth with no visible screws. 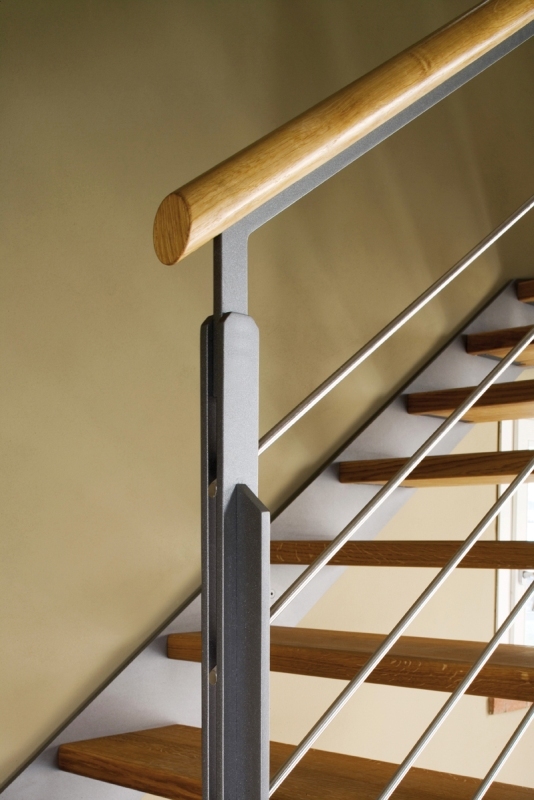 AIR6C WOOD banister: 5 satin-finish stainless steel rails, durmast solid wood handrail with natural oiled finish on the steel rail, spindles with steel double plate, “stop” rail on the newel post.